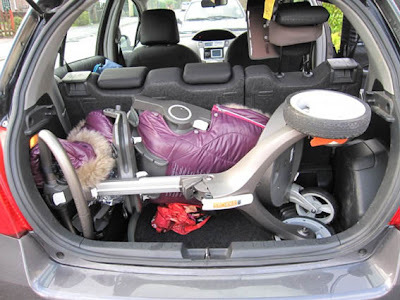 We are putting together some information about which cars can comfortably fit a Stokke® Xplory® in their boot. Can you help us by sending a picture of your Xplory® in your car boot along with the make and model of your vehicle? See example below of a Toyota Yaris. Please email pictures and information to: sian.to@stokke.com Thanks to StokkeLover Gavin for this image. Hi Sian. Do you know if it will fit in the boot of a fiat 500?